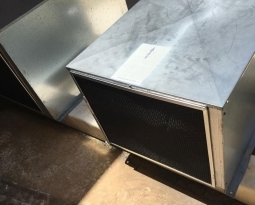 From the paper mills on the west coast to the textile mills on the east coast, Permatron manufactures the original industrial workhorses of permanent, washable commercial air filters. 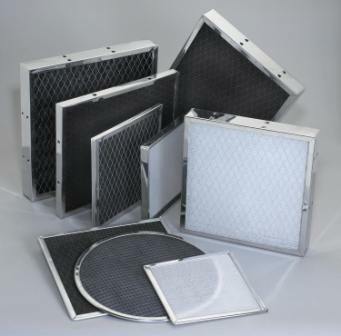 Utilizing the principle of a unitized filter bank, our Models IN and HFA commercial air filters outperform and outlast metal mesh filters in many heavy-duty industrial applications. 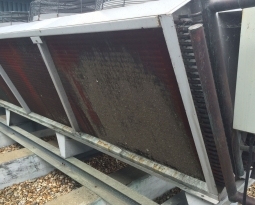 The benefits of cleanability and long-term durability in high velocity systems or caustic environments gives facility managers the least cost over useful life, energy efficiency and an environmentally friendly solution to their commercial air filter needs. 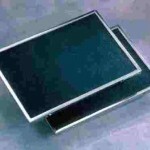 Our unique Accumulator Chamber® design contains two or three sets of media pressed into .25″ steel panels assembled in an outer frame. 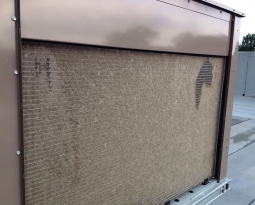 Separation between the two panels creates a triple action filtration system. Model IN is an electrostatic polypropylene filter designed for commercial applications where low resistance and cleanability is critical, such as schools, offices, industrial processing plants. 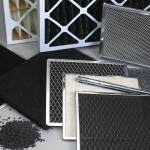 This commercial air filter is compatible with systems where high velocity air is pushed through limited filter surface areas. Customized wire reinforcement is available for clean-in-place maintenance programs. 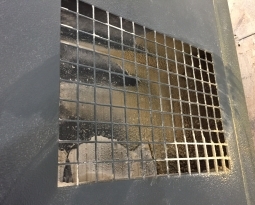 Stainless steel is an option for caustic marine environments or regulated food processing plants. 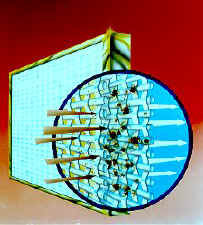 Model HFA is an electrostatic polypropylene and non-woven polyester filter designed for commercial applications where high efficiency particulate removal is critical, such as hospitals, laboratories, electronic and computer assembly plants. The non-woven polyester captures the smaller particles, and particles that do not normally respond to an electrostatic charge. Stainless steel is also an option for steralized hospital and cleanroom environments or regulated food processing plants.